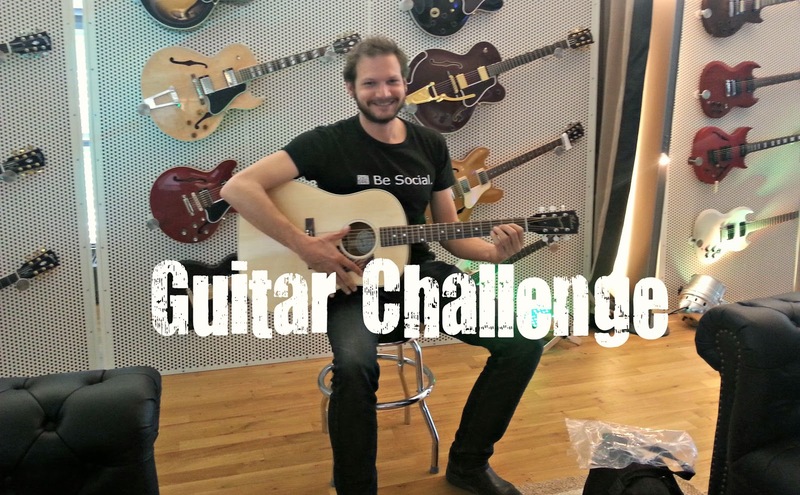 This social travel challenge is a musical one. I have to learn to play the guitar with friends and followers across Europe and North America. I also have to drive an old Volkswagen van across Canada finding people that can teach me songs and help me improve my skills. And here comes the catch. I then have to make my way from Vancouver all the way South to Panama but this time I'll have to busk for my gas as proof that I actually learned to play the guitar. I'm looking forward to get some lessons from whoever wants to teach me a thing or two about guitar playing. 1. Learn basic guitar skills in Europe and find a Volkswagen T2 van before July 2014. 2. 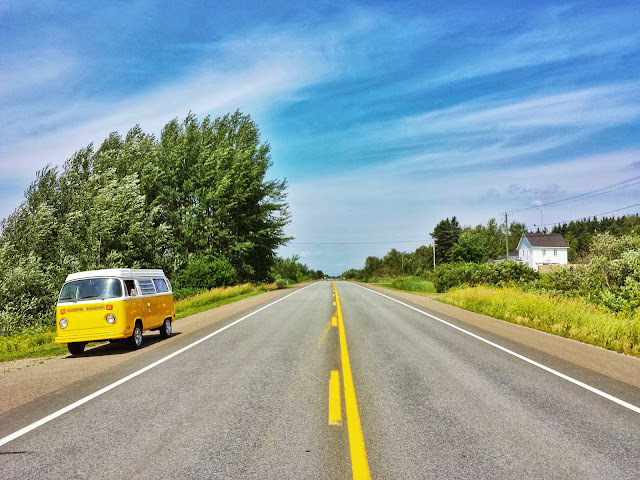 Cross Canada from East to West in the van and learn songs with the locals. July to October. 3. Busk for your gas from Vancouver to Panama and prove that I play guitar. October to December. Guide me to your favorite places on my trajectory. I'm currently in Canada so don't hesitate to tell your Adventurous and guitar crazy friends. I'd love to go say hello. @Social_Traveler glad to hear! If you travel around the island, you should head to the Musgrave Harbour area to check out our sandy beaches! @Social_Traveler Great to meet you Bjorn! Drop a line when you reach #vancouver. Lucien in New Brunswick on a lobster catch! With @Social_Traveler @explorecanada; @seenewbrunswick pic.twitter.com/8EhKNeh4Te"
@Rosiemillard @Social_Traveler Looks like fun. Bjorn - your repertoire is going to be awesome by the time you reach Vancouver. @Social_Traveler @ExploreCanada Outstanding! Happy trails, Bjorn! @Social_Traveler OMG! A Westfalia! That's awesome! @Social_Traveler @VWcanada @ExploreCanada @gibsonguitar your van looks amazing! Your travel across Canada makes me dream man! @Social_Traveler @KMANDOW @ibackpackcanada If you're ever on the east coast, hit me up! @ExploreCanada @Social_Traveler we're excited to watch the journey unfold! Good luck! @Social_Traveler @_nctaylor @belizeadventure @explorecanada Natalie is the girl. Always great to connect two kindred spirits. Happy travels! @hugo_leclerc @Social_Traveler Staaahhpp! Have you two met yet? Hugo is the best! @_nctaylor @Social_Traveler Nice to make your acquaintance. When are you in Montreal? @Social_Traveler @calgarystampede this is such a great shot! @cherrysberries @Social_Traveler Looking forward to hearing his guitar skills on his way back through Toronto! Gibson welcomed me to the family and provided me with an awesome guitar. They reach out to their own community to teach me the ropes and will set up guitar lessons with artists they work with. Rock and Roll Baby! The people from the Canadian Tourism Commission will show me the most beautiful and cool places in Canada and will help me reach out to the locals for awesome van jam sessions. 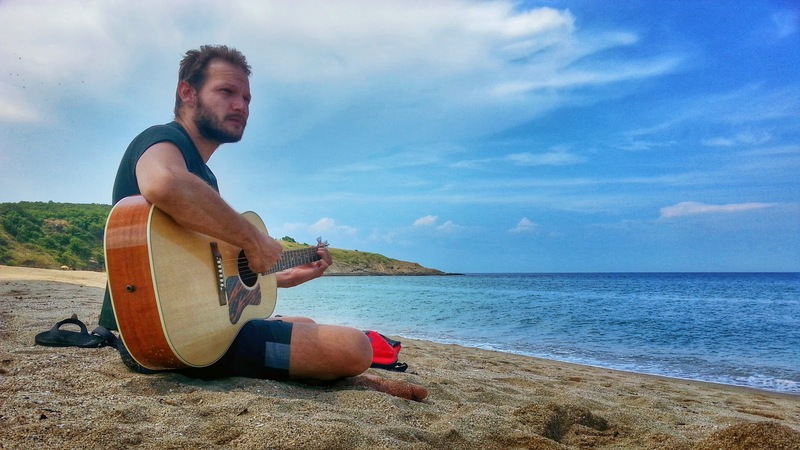 The GoPro dudes send me a Van and Guitar cam and help me capture this adventure on video. Subscribe to my YouTube channel to see new episodes first. you still want me to help out on the guitar lesson front ? Hell yeah! Maybe once I make it to Vancouver we could start with some Hangout Sessions via Google+? What do you think?